Cameron didn't go to Ole Miss, but he visited me every chance he got. Those years of long distance weren't the easiest, but they definitely strengthened our relationship. We shared some of the sweetest memories together during his visits to Oxford and I'm glad he has come to love Ole Miss as much as I do. My dear friend Ally of Cali Ally just got married in Oxford and we had the most wonderful time reuniting with all of my best friends from college. It had been over a year since I had been back and it made our time together even more special. I'm so excited to share some of my Oxford favorites with you guys! It is definitely a city worth visiting for a relaxing long weekend getaway. As much fun as football season in The Grove may be, I would personally recommend visiting during the summer or early spring when the town isn't so crowded. It's the best way to experience and appreciate all of the little hidden treasures it has to offer! Our favorite place to stay is definitely The Graduate Oxford. The hotel is located on The Square and within walking distance of the Ole Miss campus. Every detail of the decor reflects the rich and unique Oxford heritage and evokes a sense of nostalgia for any alumni. 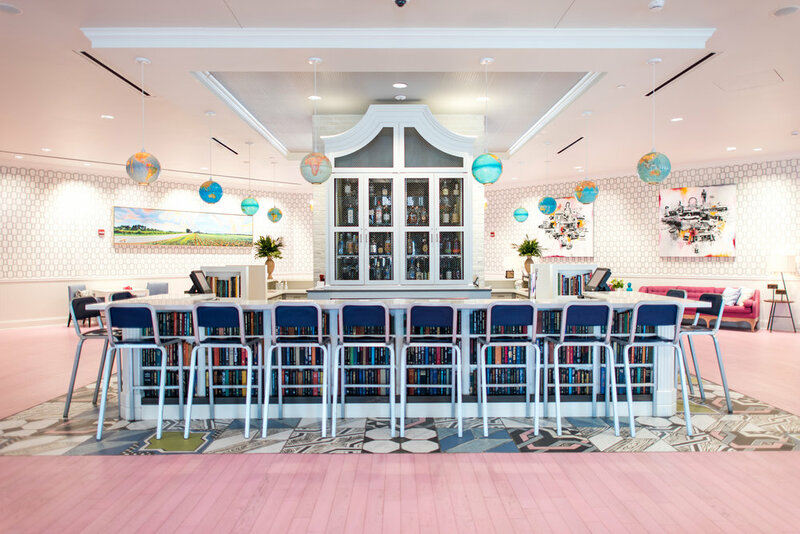 From the vintage books in the lobby to the room keycards featuring old school Ole Miss yearbook photos, every detail is thoughtfully curated. Now let's get to the important part... FOOD. Three words: Big Bad Breakfast. Hands down my favorite breakfast of all time. I can't tell you how many (possibly hungover) Saturday mornings were spent here recalling Friday night's shenanigans on the square... Or how many times my best friend Holland (The Brunette Friend) and I would hop in the car before class and chat over coffee and a delicious breakfast. I usually opt for the traditional "Big Bad Breakfast" and Cameron is a big fan of The Elvis sandwich. We always load up on their dangerously caffeinated coffee and fresh-squeezed orange juice. BBB is an Oxford staple and will always be one of my first stops when I come back to town! On our first day in Oxford, we went for a classic favorite and had lunch at Boure. Known as "up-scale down-home” fare, Boure is ideal for a quick and delicious lunch on The Square. The menu has a decidedly creole feel, but they have lighter options and an overall outstanding menu. My go-to has always been the Boure Salad and Cameron really loves their classic Reuben sandwich. A new favorite restaurant of mine is Saint Leo. Saint Leo combines big city style and small town hospitality with the earthy simplicity of wood-fired Italian cooking. We stopped in for drinks and appetizers and I was very impressed. I'm a sucker for a wood-fired pizza and they knocked it out of the park! In addition to the awesome food, their drinks are delicious and carefully crafted. You have to try one of their Prosecco Popsicle drinks. No matter how many times I visit Oxford, a stroll around the historic town square will never get old. Known simply as "The Square," there is truly nothing quite like it. As with many small towns, The Square is the central hub that everything revolves around. From fine dining to down-home southern fare, to nightlife and trendy boutiques, it truly offers something for everyone. It has a picturesque small-town feel with a modern and progressive twist. Notably, it is also home to the south's oldest department store and a world-renowned book store. That brings me to Square Books. The quaint little bookstore across from the courthouse is one of my favorite spots in all of Oxford. No matter how busy the town may get or how it may change, Square Books remains an unwavering pillar of the Oxford community. The store's breezy balcony was my favorite place to sneak away to study or relax during my four years of college, and I rarely walked by without popping in to browse or grab a cup of coffee. The store hosts Thacker Mountain Radio Hour, an hour long weekly live radio show featuring author readings and musical performances. The free show is taped and broadcast every Thursday at 6pm during the fall and spring. I was lucky enough to work as an intern for Thacker during my senior year, and those Thursday nights will forever be engrained as some of my favorite college memories. The energetic live show takes you on a trip back in time. I can't think of a better reason to visit Oxford than to watch our friends Ally and Hayes begin the rest of their lives together. They had an absolutely stunning wedding at Woodson Ridge Farms. Their tear-jerking vows, the farm-to-table dinner, the funky live band, the bottomless Veuve Clicquot and the happiness that filled the air all came together to create a truly magical night. I'm thankful that my time at Ole Miss brought friends from all over like Ally, Holland and Caitlin into my life. I was so happy to celebrate together on Ally's big day! Tailgate in The Grove - There truly is nothing like an Ole Miss tailgate experience. Think: chandeliers, flatscreen TV's, gourmet food and more. However, don't be discouraged if you can't make it on a football weekend! I personally enjoy the Grove even more on a quaint Sunday afternoon for a picnic with friends. In fact, it was one of my favorite places to sit or study between classes during college. Attend a Live Thacker Mountain Radio Hour Show - If you find yourself in Oxford on a Thursday in the fall or spring, Thacker Mountain Radio Hour is a MUST. The hour long live radio shows features readings and a wide array of musical performances. The free show is taped and broadcast every Thursday at 6pm during the fall and spring. Take a Tour Of Rowan Oak - Rowan Oak, the home of American writer William Faulkner, was originally built in 1844, and stands on over 29 acres of land just south of the Square in Oxford, MS. Tour the grounds that inspired some of Faulkner's great American novels such as "The Sound and the Fury" and "As I Lay Dying." While there’s no fee to visit the grounds, there is a $5 cost for house admission. Stroll Around The Square - Grab a coffee from High Point or Bottletree and make your way around the square. 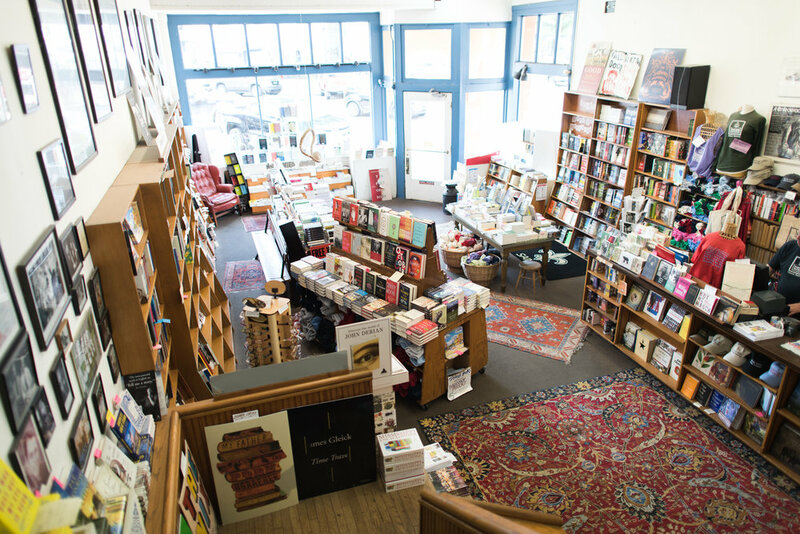 Stop by Square Books and take a moment to graze through all of its literary treasures. Shop the latest trends at stores like Cicada, Frock, Miss Behavin and Lulu's. You're sure to stumble upon little hidden gems like Amelia Presents while taking in all the historic character around you. Attend A Concert At The Lyric or Proud Larry's - Moon Taxi, The Revivalists, Corey Smith... just a few of my favorite concerts I saw at the famed Lyric Theatre. Take a Shot at Faulkner's Grave - Yep, you read that right. It's a customary tradition to take a shot of whiskey (Faulkner's drink of choice), pour some on the grave, and leave the rest for him to enjoy in the afterlife. This usually happens after a night out on The Square. Eat at the Secret Grilled Cheese - Ahh, the Secret Grilled Cheese. A black door with no sign hidden on the Square opens to late night delight. I won't give away the location, but ask around and a local just might tell you! Ajax - A true southern meat & three classic. Their cornbread was sent straight from Heaven. Big Bad Breakfast - Bacon and biscuits and gravy, oh my! Hands down my all-time favorite breakfast joint. City Grocery - Known as a landmark in the Oxford dining scene. Perfect for date night! Be sure to head to the upstairs bar for drinks and one of the best balcony views. Jinsei - Best sushi in town and awesome Happy Hour specials. Ideal atmosphere for a girl's night out! Lenora's - Delicious dining and great wine list. Ravine - Fine dining for a special night out, located just 3 miles south of Oxford. Mine and Cameron's favorite spot for a romantic date night. Snackbar - French Creole meets Southern Mississippi fare. Unique menu and top quality food. Saint Leo - Modern, big city style dining right on The Square. Love their wood-fired pizzas and cocktails. 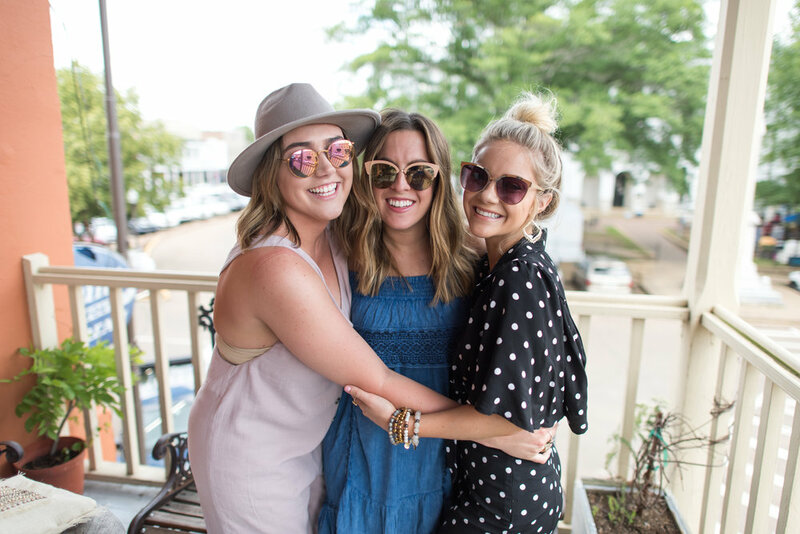 Graduate Oxford - Centrally located on The Square and within walking distance of the Ole Miss campus, the Graduate is by far my favorite place to stay in town. Be sure to check out rooftop bar, The Coop, for drinks and appetizers.